As art progresses and fashion surges forward, architecture is slowly burning its own path towards futuristic concepts and designs. Projects such as OnSite-00 (os00) that was started in 2002 with a furniture prototype and designers such as Sebastien Wierinck are clearing the road with incredible, green designs. 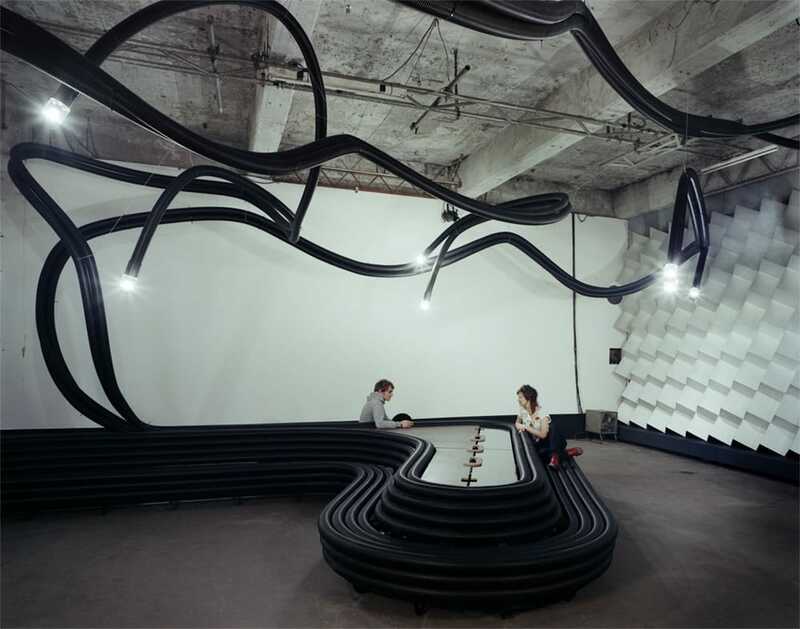 They are using mass produced, plastic tubing to create programmatic furniture. 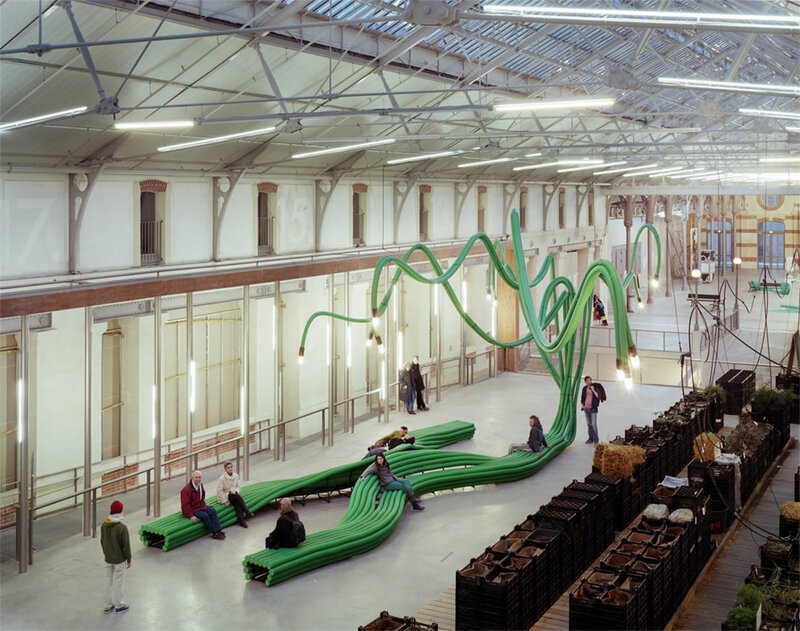 Originally this tubing was constructed for use as underground distribution networks for water, gas and electricity and now it is being turned into group-sitting areas with installed lighting and electronics. 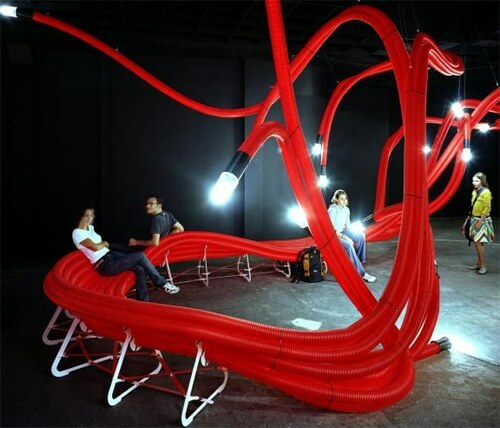 This extension of the human body does appear in the tubing furniture as it exists like artwork known as Tubism. Tubism was first introduced into the art world by French artist Fernard Legár in 1911, emphasizing cylindrical shapes in opposition to the popular avant-garde art movement, Cubism. Cubism is more commonly known today and is typically associated with Pablo Picasso and Georges Braque as its defining leaders. It started in 1907 in Europe and is considered a revolution in the painting and sculpting genres. This advancement that os00 and Wierinck are now incorporating Tubism in architectural designs is a sign that architecture is slowing catching up to the other fields with use of techniques that have existed in the fine-arts for 100 years. The products already exist to design in Tubism criteria therefore incorporating them as design elements is the smartest direction to take in sustainable design, not having to re-invent different materials, altogether, that are eco-friendly. The works of os00 and Wierinck are innovative, unique and inspiring.